Palram Door Canopy Venus 1350: This beautiful awning from the Palram range features shatter resistant polycarbonate clear panels which will provide protection from UV rays. Providing your entrance door, window or building facade with protection from the weather this awning has a rust resistant aluminium frame and is supported by galvanised steel arms with a powder coated dark grey finish. 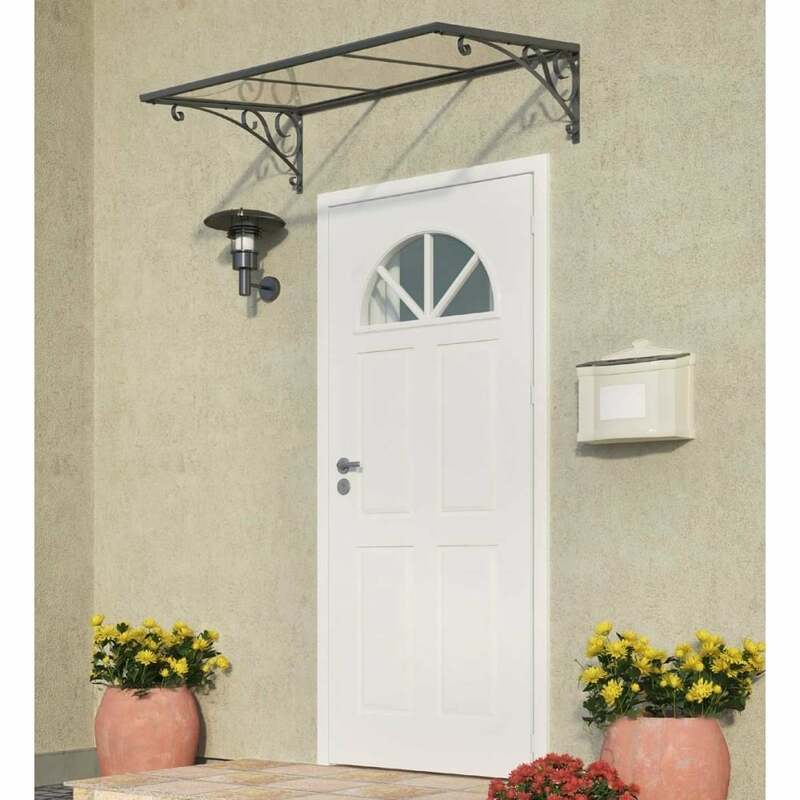 This self assembly canopy includes all installation components and will complement your home beautifully.